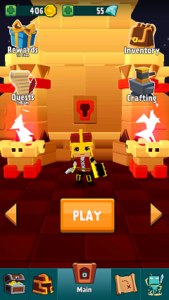 Maze Escape – Dungeon Heroes is an escape game for Android by Genera Games in which you play as a hero. It features challenging levels in which you have to solve the puzzles, find the right path, all the treasure box, and defeat the enemies. The labyrinth is full of puzzles and hidden treasure! Can you collect all the hidden treasure? The initial levels are easy, but, later it becomes challenging and more addictive. I would recommend you to download this offline RPG on your Android right now if you are looking for a fun game. Download – Here[Google Play Store]. If you want to know more about this game, you can check it here. 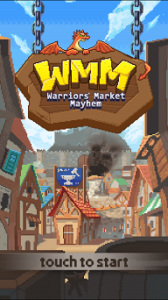 For those who are looking for a time killer offline RPG, I would recommend you to play Warrior’s Market Mayhem game. It is developed by Cat Lab, the creators of Berry Monster game. The concept of this game is great; you send your warriors on adventures to collect the material; wood, copper, and much more. This material is used to craft items such as a knife, sword, shield, and more. The warrior explores the place, find the material and bring it to the kingdom where the hamster crafts the items. All you need to do is complete all the customer’s order and grow your business. Sounds good? Play the game, you will love it! And its size is under 25 MB. A perfect game in my opinion! Download – Here[Google Play Store]. You can get more information about this offline RPG here. Blade Crafter is another one of the best Offline RPG games for Android on our list. In this game, you have to defeat enemies using the best weapons. The initial levels are very easy to complete, but, later you need to craft or enhance your weapons to defeat them. It features lots of challenging stages; to get victories, you need to take care of plenty of things; upgrading; enhancing and enchanting, casting skills at the right time, best strategy, and resource management. Download – Here[Google Play Store]. Before you download, check out this game here. 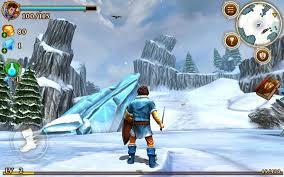 Pixel Force 2 by Digital Vault GbR is a great offline role-playing game for Android devices. In this game, you play as a soldier and complete the objective; slay down all the enemies and clear the stage. It’s a fun, challenging, addictive, and a must-have game. It features dozens of weapons & power-ups, six characters, and hundreds of levels to complete. These features are enough to say that it’s a perfect game! Download – Here[Google Play Store]. 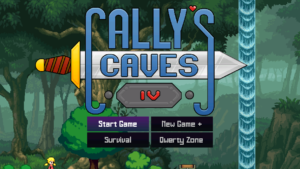 Cally’s Caves 4 is the sequel to Cally’s Caves 3. 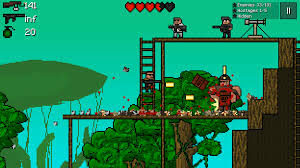 It is a run-and-gun platformer game for mobile devices. In this game, you play as Cally and you need to defeat all the enemies to save her loved ones. However, it would not be easy because of powerful enemies. It features hundreds of action-packed levels, dozens of weapons, many game modes, and boss fights. What you need more? It’s a perfect game and you should give it a shot! Download – Here[Google Play Store]. Know more about the game here. Beat Street by Lucky Kat Studios is one of the best side-scrolling fighting games. 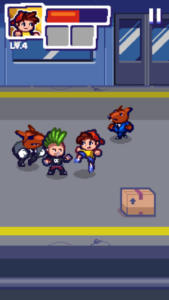 In this game, you play as a fighter and your objective is to slay down the bad guys from your city. It comes with single-touch controls, features lots of challenging levels, fighters, good graphics, and much more. At last, if you are looking for a free fun offline RPG, you should give it a shot. Download – Here[Google Play Store]. 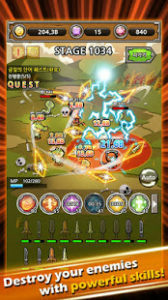 Beast Quest is among top best offline RPG for Android, developed by Miniclip. It comes with a small size(40MB) and has good graphics. The gameplay is addictive; the combination of the action+adventure+open world makes it even better. If you have not played it yet, then I would recommend you try it out, it’s fun, challenging, and awesome game. Download – Here[Google Play Store]. Dragon Storm is another game on our list, it is developed by Springcmes, the creators of brick breaker stars game. In this game, the most common objective at every stage is killing the monsters. They can attack from every side, you have to be quick, smart to kill them. It features lots of challenging levels, game modes, and much more. Overall, it’s a fun game and best to kill some free time. Download – Here[Google Play Store]. If you want to know more about this game, you can check it here. 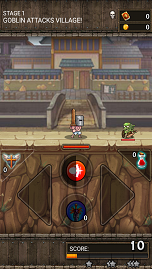 Semi Heroes is a great game for Android. In this, you assemble a team of heroes and stop the evil monsters who are destroying the trees. 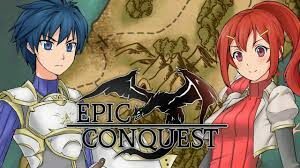 It is a fantastic game, features challenging stages, boss fights, lots of heroes, skill & upgrading system and a better gameplay. Can you save the trees, defeat the monsters, and boss? Yes, you can! Download the game – Here[Google Play Store]. If you want to know more about Semi Heroes game, you can check it here. 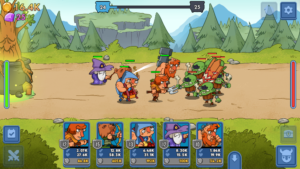 Previous Post:Dead Rivals Guide, Tips, And Cheats To Play Like A Pro!